The stylish new Nano 7.0 combines the natural shape and stability athletes covet with a redesigned flexible sole for mobility and traction. The added heel piece creates a fit lockdown for better support and leverage as you lift. 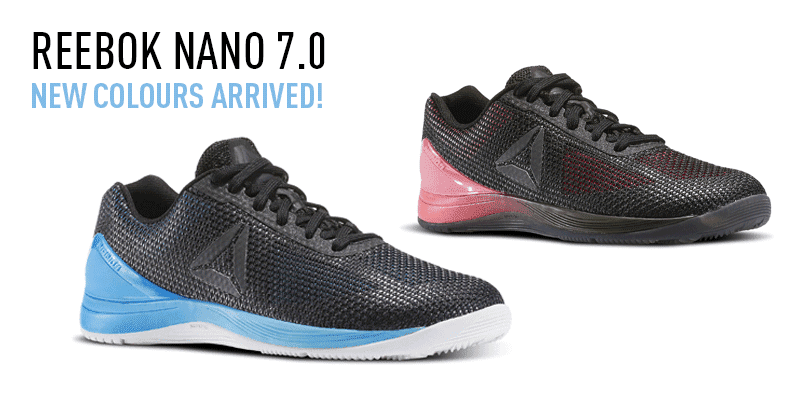 United by fitness, the Reebok Nano 7.0 continues a partnership with CrossFit that operates at the forefront of elite fitness. Made by Crossfitters for Crossfitters, this new training shoe is functional, stylish and durable. On first impression, the new Performance Sole is one of the most striking features on the Nano 7.0. It is designed to provide improved stability, durability, traction and comfort. The Crystallised rubber outsole flexes naturally for balance and strong support. The shoe grips well, feels stable and is also highly responsive to sharp turns and quick explosive movements. 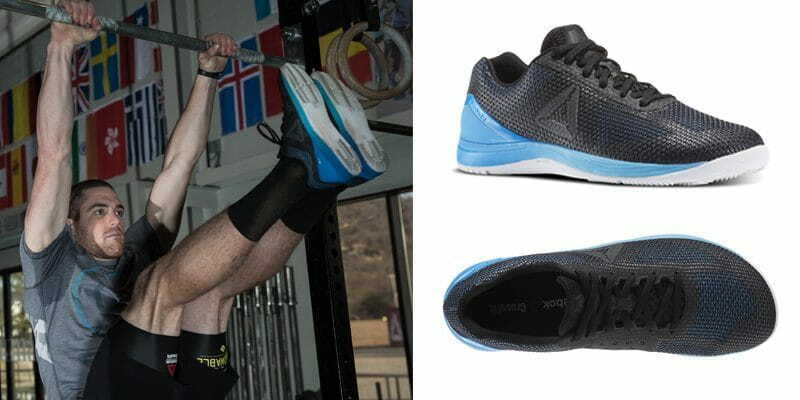 Testing the shoe across many different exercises, from box jumps to burpees, the Nano 7.0 felt secure, light and stable. A new 360 degree TPU heel wrap creates a locked in feel, perfect for helping to improve support and control during high repetitions of weightlifting exercises such as overhead squats or deadlifts as well as other movements like thrusters, wall balls and sled pulls. The design allowed me to achieve a solid base with my feet and heels during workouts. Nano weave technology provides breathability and flexibility for your movements. This means that your feet stay fresh during longer workouts, and the material is exceptionally responsive to your individual style of movement. The upper and lower work together to compliment the natural movements of your feet throughout any workout you face. 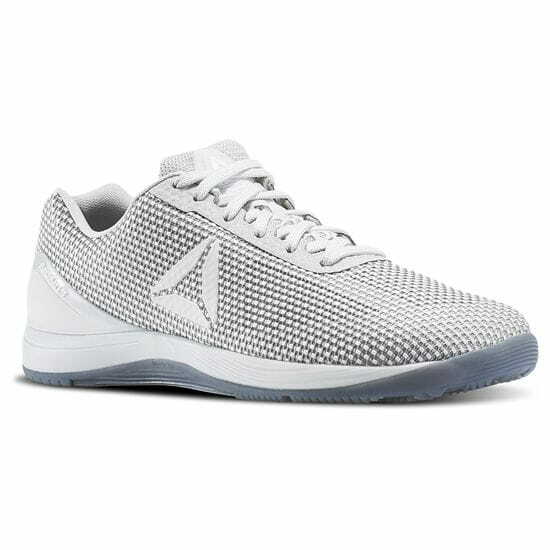 All us Crossfitters constantly step into the unknown, and we need shoes that are able to augment, support and enhance our performances in these situations. The Reebok Nano 7.0 has been designed with an anatomical powerlaunch toe box to improve power, fit and stability. The low-cut design enables a natural feel and promotes ankle mobility. There is nothing worse than trying to workout in shoes that feel clunky and unresponsive (ever had to complete a normal WOD in lifters? ), so this balance between support and movement is ideal. The stripped back, minimal aesthetic to the Nano 7.0 gives it a sleek and refined feel. These trainers are also undoubtedly eye catching with the fiery Solar yellow and black colourway, and the choice not to include any superfluous styling. Reebok have paid a lot of attention to detail on the visual as well as the performance side. For example, the debossed CrossFit logo on the inside of the upper is subtle and balances the embossed Nano 7.0 on the outside of the shoe. Since the first Nano shoe, Reebok have been working tirelessly to adapt and evolve the features that actually matter to those who take part in the sport of fitness. These are made by Crossfitters, for Crossfitters, which creates a deep understanding of the tough conditions that each pair will be put through every single day. From widening the toe box on the Nano 2.0, the addition of Kevlar on the Nano 5.0, to the Performance Sole and Nano Weave of the Nano 7.0, these features and technologies are developed and improved over time, in accordance with the exact needs of Crossfitters all around the world. Reebok work with a choice selection of the best athletes in CrossFit, providing the kit that will perform for everyone, from everyday Crossfitters pushing their fitness and limits, right through to professional Games athletes. *The Promotion is open to all individuals who are residents of Germany, Austria, Belgium, Czech Republic, Denmark, Finland, France, UK, Ireland, the Netherlands, Poland, Slovakia and Spain, who have reached the age of 16.